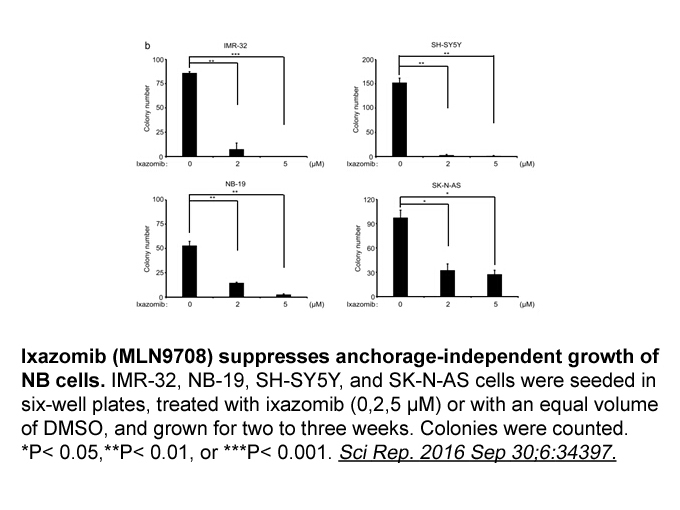 MLN9708 significantly inhibited CT-L proteasome activity with an IC50 at 5 nM. 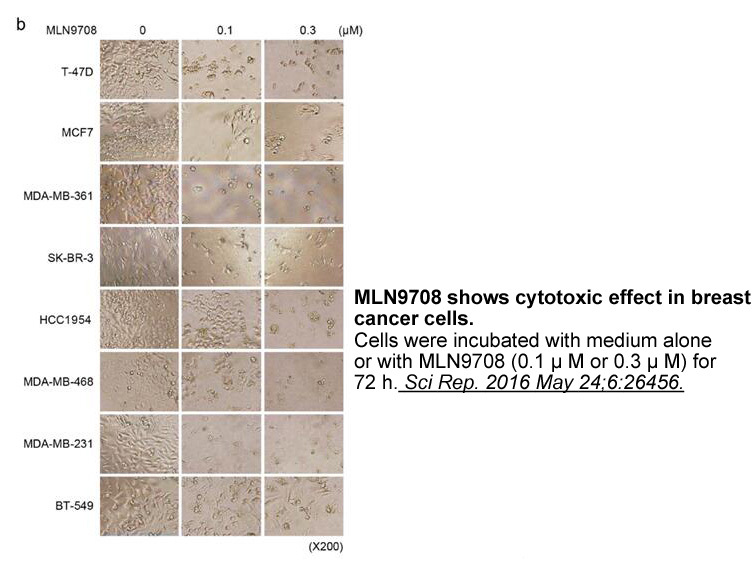 Higher concentrations of MLN9708 showed inhibitory activity against C-L and T-L proteasome activities. 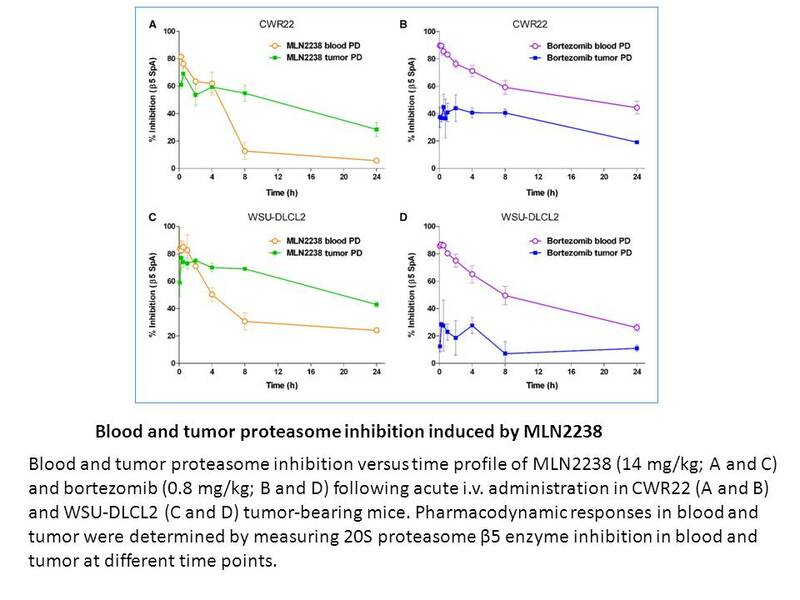 Both intermittent and continuous MLN2238 dosing regimens showed strong antitumor activity (T/C = 0.44 and 0.29 for 14 mg/kg i.v. and 4 mg/kg s.c., respectively) and generated a greater apoptotic response in tumor tissue asmeasured by levels of cleaved caspase-3. 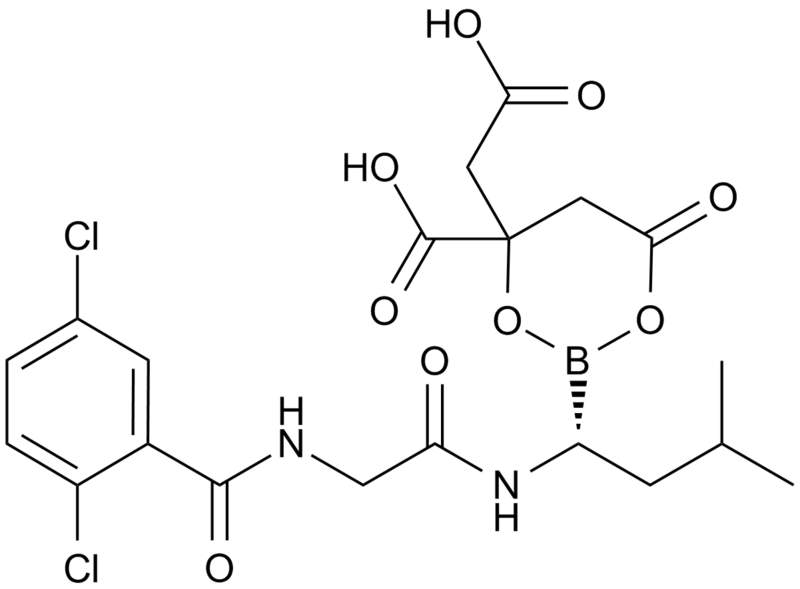 MLN9708, also known as ixazomib, is a second-generation small-molecule proteasome inhibitor. It is a citrate ester that immediately hydrolyzes to its biologically active form MLN2238 upon exposure to aqueous solutions or plasma. 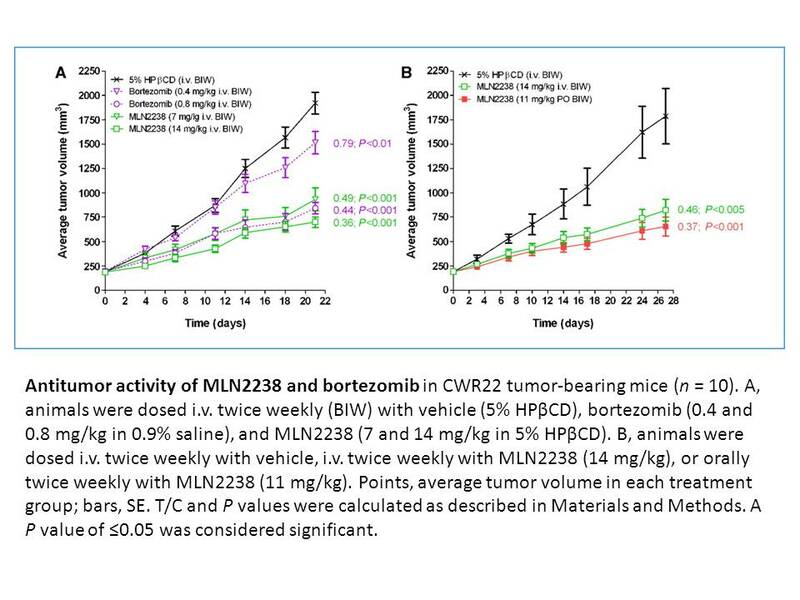 MLN9708 was selected from a large pool of boron-containing proteasome inhibitors based on a physicochemical profile that was distinct from bortezomib. 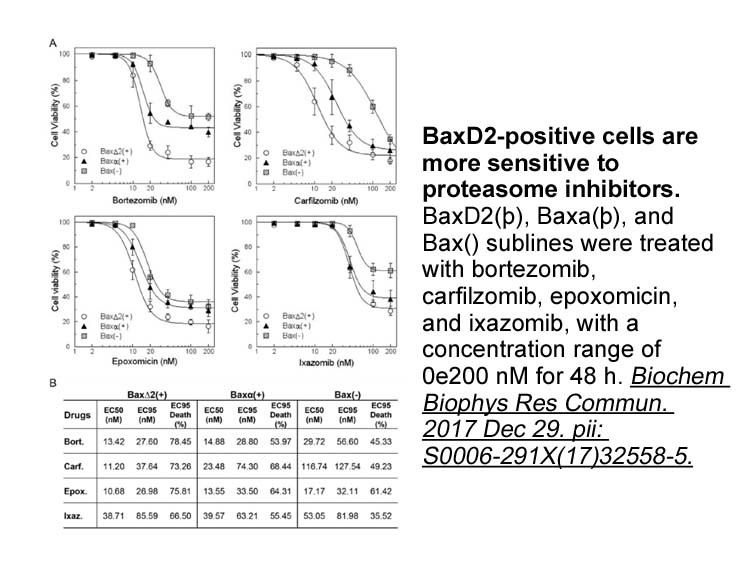 MLN9708 has a shorter 20S proteasome dissociation half-life than bortezomib, which is demonstrated to play an important role in its improved tissue distribution.